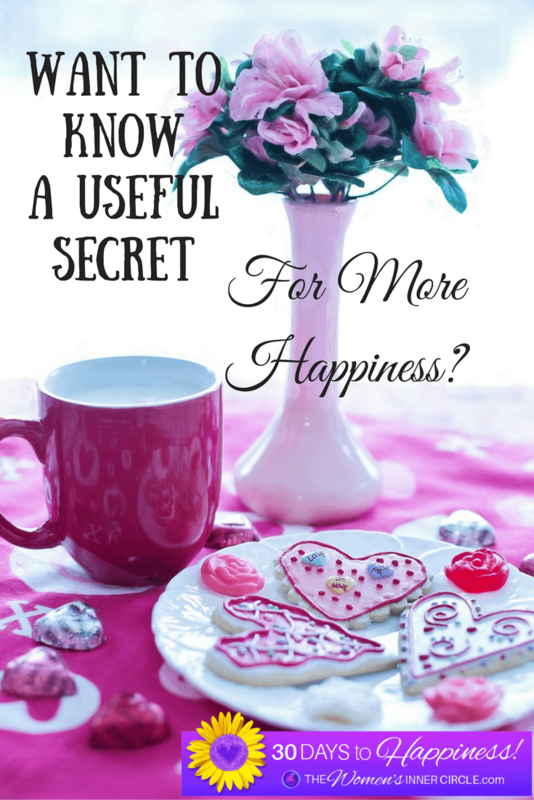 Want to Know a Useful Secret For More Happiness? Giving back will surprisingly make you happier. When we were younger, we couldn’t wait for the winter holidays to come. We’d spend days and weeks thinking about what we were going to get as gifts. It was all about the material items. I know for me, and I’m hoping for you as well, as I’ve grown older my thoughts, and perspective, have changed. While I still appreciate and enjoy getting a wonderful gift, there is more fun and joy in finding the perfect gift for someone else and watching their eyes light up as they open it. The big take away and lesson here is that giving truly does make us happier. I am not just speaking about material and physical presents. Anytime you can give something to someone else ~ your time, a kind word, thoughtful sound advice, or a big bear hug, it will make you feel good. Giving will increase your happiness. What naturally follows is that it makes sense to focus on giving more. This will help you lead a happier and more fulfilled life. What can you do to start giving back? Remember, we aren’t talking about gifts. What kinds of things can you do? Do you have any special skills to offer? Volunteering is a wonderful place to start. There are so many opportunities, causes, places, charities, etc. that would welcome you with open arms. A few Ideas to get your thoughts flowing ~ You can help out at a local school or at the local temple or church. Homeless shelters and soup kitchens are always grateful for an extra pair of hands. If you’re good with animals, volunteer at your local humane society. Reading to patients at the hospital or people in a senior living facility is another wonderful way to give back. A friend of mine is in the process of forming a singing group to go around to senior living facilities. What a wonderful way to put smiles on their faces! If you are home bound, there are still plenty of ways for you to give back. If you’re crafty, knit some baby caps for your local hospital, sew a pet blanket for a local no-kill shelter. Make phone calls for an organization. Help organize online events, or offer to virtually tutor children who need homework help. The list of ways to give back goes on and on. Start volunteering and giving back and notice how good it makes you feel. It will instill a sense of pride and purpose in you, and that in turn will help increase your overall happiness. Giving back to your family, your community, and the world is a wonderful feeling. I hope that you make the commitment to give more so that you will get to experience this incredible feeling over and over again in your life. 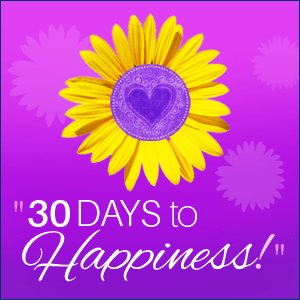 If you’d like to become more involved with other who are doing just this, join us in our 30 Days to Happiness. You can sign up here and then you’ll be invited to join our private group!